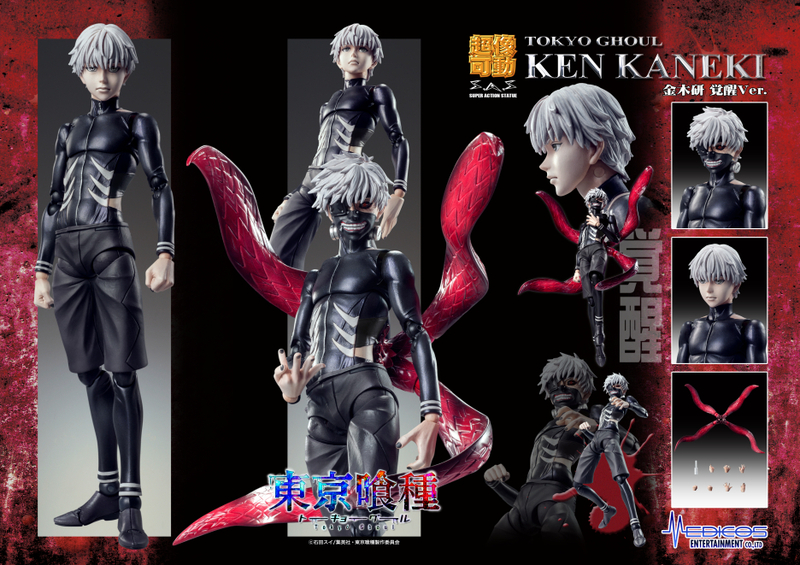 Ken Kaneki from "Tokyo Ghoul" gets a fantastic Super Action Statue release from Medicos! In his "Awakening" form, Ken stands about 6.25" (16cm) tall, and is depicted with his pale face and hair, an interchangeable masked head is included! His kagune are articulated, and he also comes with a stand.